Visit to Izhevsk Electromechanical Plant Kupol. Putin.BLOG Industry Izhevsk Visit to Izhevsk Electromechanical Plant Kupol. 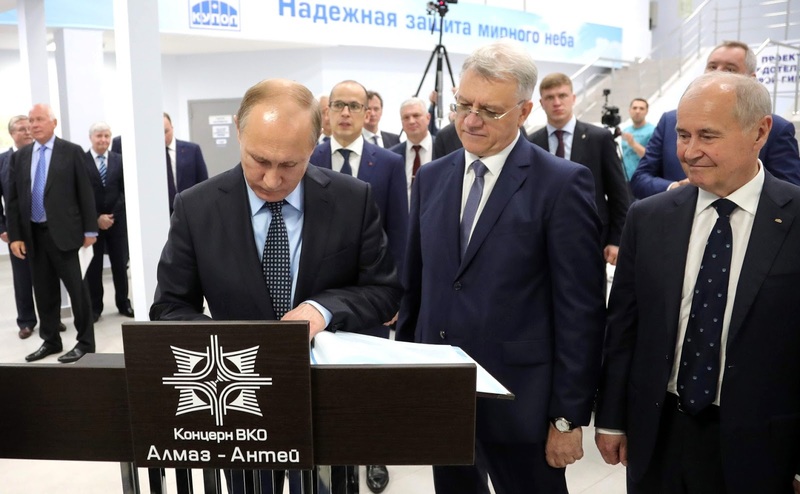 Vladimir Putin ended his working trip to Udmurtia by visiting the Izhevsk Electromechanical Plant Kupol, which is part of the Almaz-Antey concern. 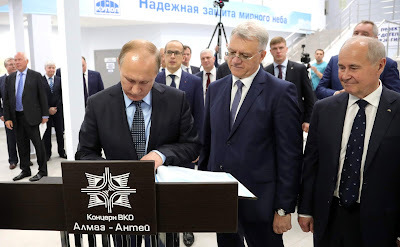 Vladimir Putin signed the guestbook during his visit to Izhevsk Electromechanical Plant Kupol. Mr. Putin congratulated the plant’s workers on the enterprise’s 60th anniversary, noting that it has become a leader in the Russian defense industry over this time and has made great strides in other areas too: Output of civilian sector goods is increasing by 30 percent a year. Mr. Putin noted that these goods are high-quality, modern and find demand on the market. The President inspected the production facilities and saw models of new military and civilian goods. One of the facilities, Meteor, underwent large-scale modernization and expansion in 2016 and produces new design high-tech goods – solid wave gyroscopes destined for use in guidance, stabilization and navigation systems. 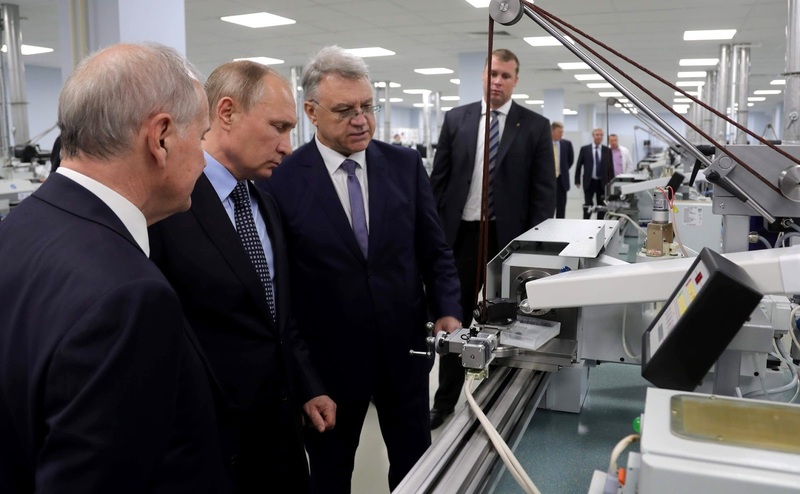 President Putin was briefed on a facility used in pharmaceuticals production. It was organized in cooperation with German partners to produce infusion solutions. 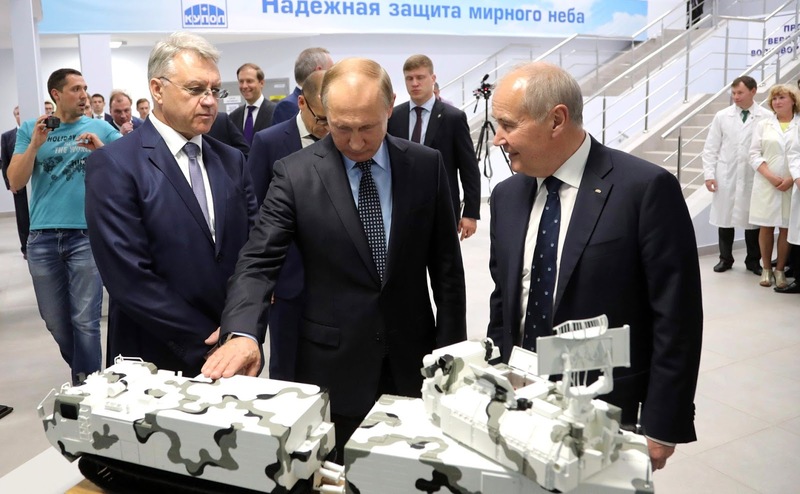 The plant management said that the solutions produced go entirely to the Russian market, where demand is high, but there are plans in consideration to increase production by 2020 and enter export markets. 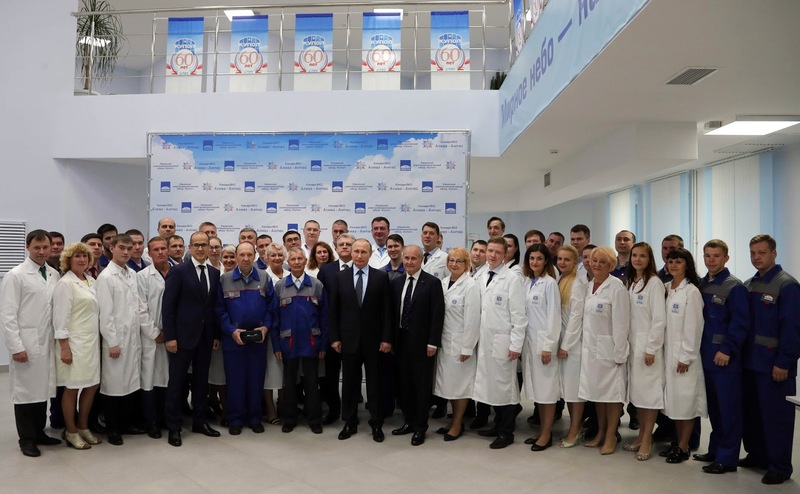 Vladimir Putin congratulated the workers of the Izhevsk Electromechanical Plant Kupol on its 60th anniversary. The President also saw a demonstration of a solar battery developed at the plant. It is two times cheaper than silicon equivalents and is 45-percent more effective. The plant’s main product is the Tor and Osa air defense systems. More than 20 countries have air defense systems manufactured at the plant in service in their armed forces. Kupol’s civilian goods include equipment for nuclear power plants, oil production equipment, and various types of climatic equipment. 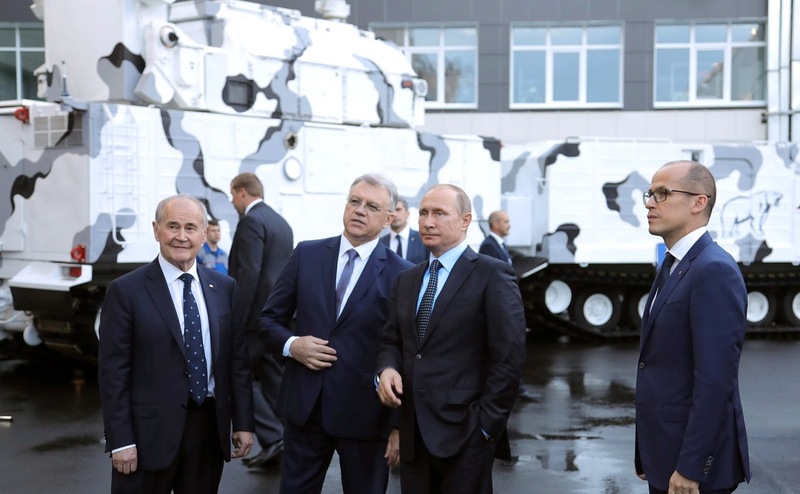 Mr. Putin was presented with a model of a ZRK-TOR-M2DT military vehicle as a souvenir of his visit. The President took the opportunity to congratulate one of the plant’s veteran workers on his 70th birthday and gave him an officer’s watch. Vladimir Putin also signed the distinguished visitors’ book. Visit to the Izhevsk Electromechanical Plant Kupol. 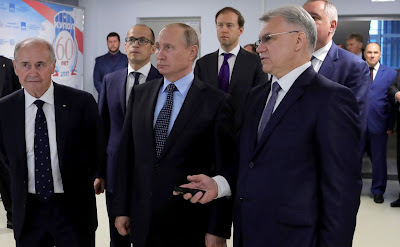 Vladimir Putin visit to the Izhevsk Electromechanical Plant Kupol. 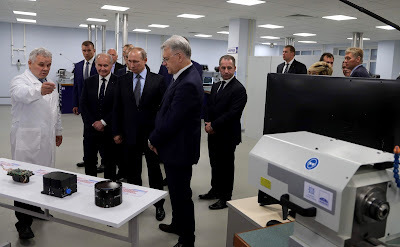 President Putin visit to the Izhevsk Electromechanical Plant Kupol. 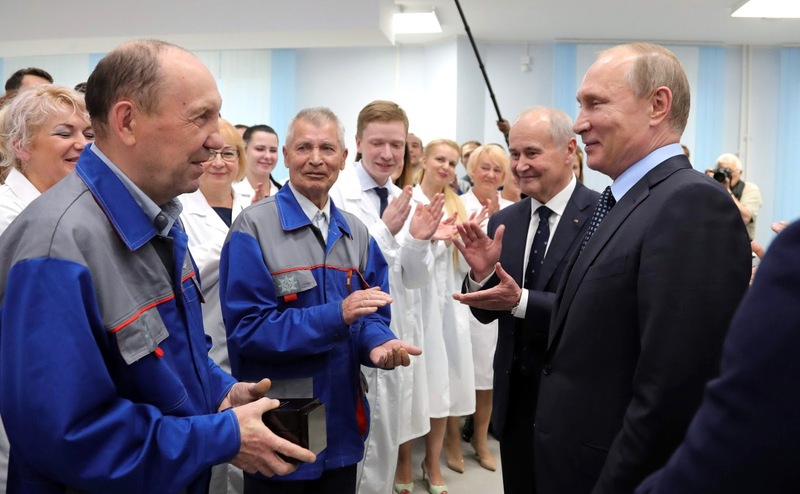 While visiting the Kupol plant, Vladimir Putin congratulated one of the veteran workers on his 70th birthday and gave him an officer’s watch. Russian President visited Izhevsk Electromechanical Plant Kupol. 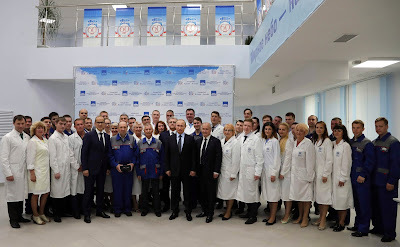 President Putin visited Izhevsk Electromechanical Plant Kupol. 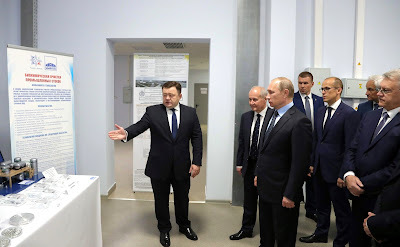 0 Comment to "Visit to Izhevsk Electromechanical Plant Kupol."